The Clarkston Athletic Office is located at the south end of the east gym hallway (close to the football field). Girls Cross Country Wins State Championship! 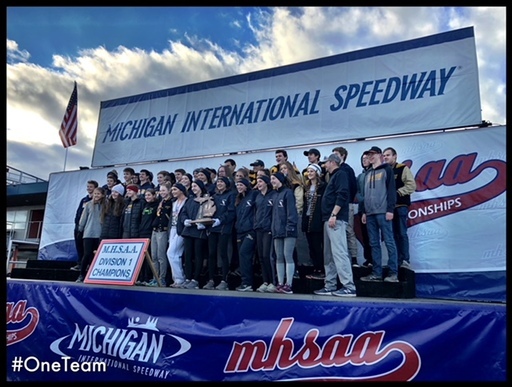 Congratulations, Clarkston Cross Country! CHS Girls Cross Country claimed the 2018 D1 State Championship while CHS Boys Cross Country came home from the State meet with a fourth place finish! Read more about Girls Cross Country Wins State Championship! 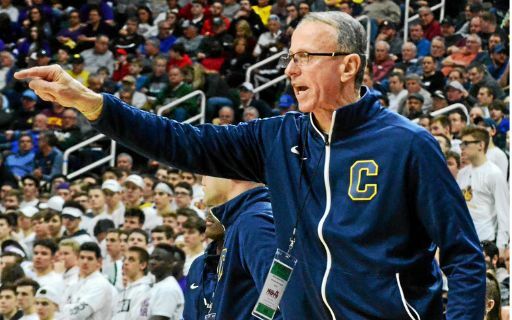 In a special community event during the CHS basketball game December 14, Clarkston Community Schools will recognize Coach Dan Fife for his contributions to the district as Athletic Director and Boys Basketball Coach for more than 36 years. 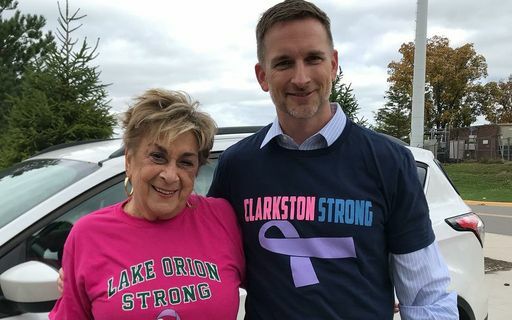 The Wolves face off against the Lake Orion Dragons tonight at 7pm at LOHS for the Football for a Cure game to raise money for cancer survivors and their families. Players will wear special jerseys and will present them to survivors in a special post-game ceremony. 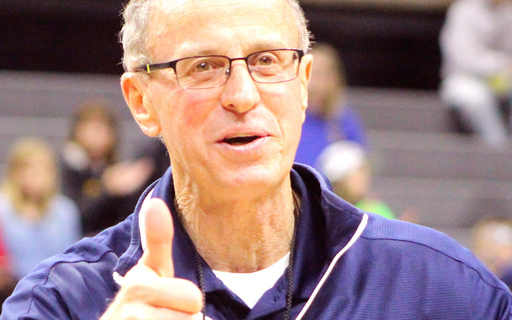 Coach Dan Fife retires after 36 years as the Wolves' varsity boys basketball head coach. 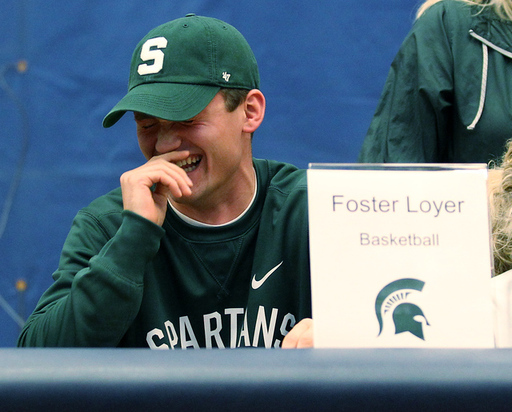 Coach Fife is a true educator who has taught life lessons through the sport of basketball. His efforts have served to build a culture of success which has brought pride and recognition to our school and community while allowing Dan positively impact the lives of countless young people. 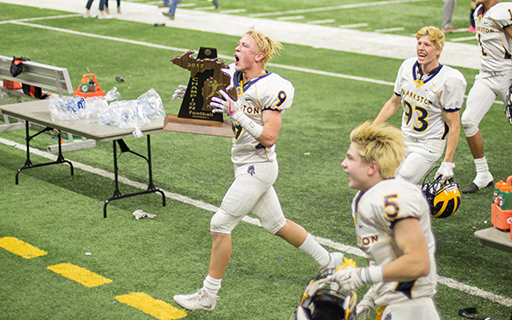 It was the ending all teams dream of – holding up the state championship trophy in victory. 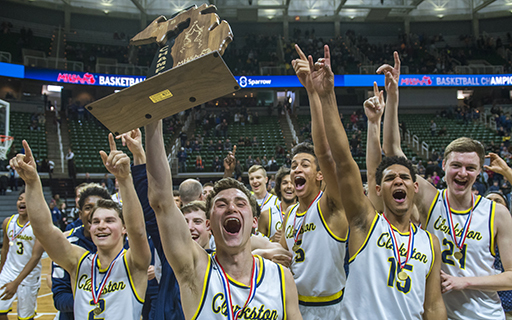 The Clarkston cagers dominated Michigan State University's Breslin Center to bring home a back-to-back MHSAA Class A Boys Basketball State Championship with a 81-38 win over Holland West Ottawa on Saturday. 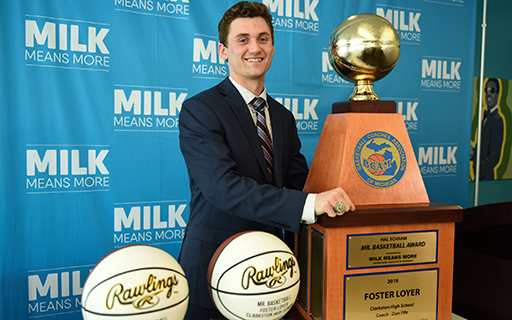 "I think the biggest thing is never let someone tell you, you can't do something because you are too small, you are too short," Loyer said. "Whatever the limitation they want to set for you is, don't let them kill your dream because with hard work and the time you put in, you will get a lot out of it. I think anything is possible and you should always work towards your dreams." With a 52-31 win last night over Flint Carman-Ainsworth, our boys basketball team has advanced to the state semifinals on Friday at MSU's Breslin Center! Many of you have asked if we will have early dismissal on Friday to allow for students to attend the game. As much as I do enjoy announcing an unexpected day off, I am sorry to say it is not feasible for us to cancel or shorten the school day for the game this year. Fans had cause for Thanksgiving after a stony defensive line stopped West Bloomfield cold, winning the Wolves their third MHSAA Division 1 Football State Championship on November 25. 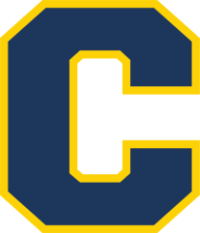 "It's another great day for C-Town," said Kurt Richardson, long time head coach for Clarkston Varsity Football, as the gridiron heroes celebrated their third trip to Ford Field. 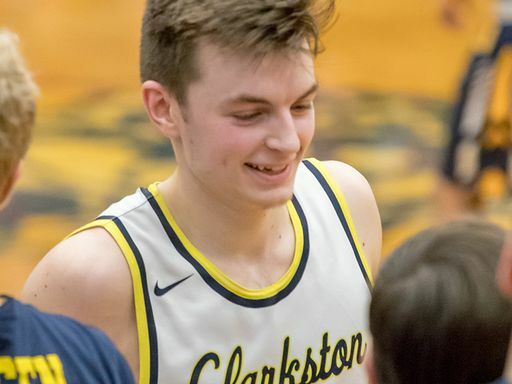 On November 8, eleven Clarkston High School student athletes signed letters of intent to play their sport at the collegiate level before an enthusiastic audience of families, coaches, and teammates.